Is it your first round of an 18 holes course? Are you clueless about how much time the round would take? Is there any specific time period in which the game should be completed? If these are the questions you are looking for answers then, let me tell you there absolutely no fixed time on how long does 18 holes of golf takes to play. 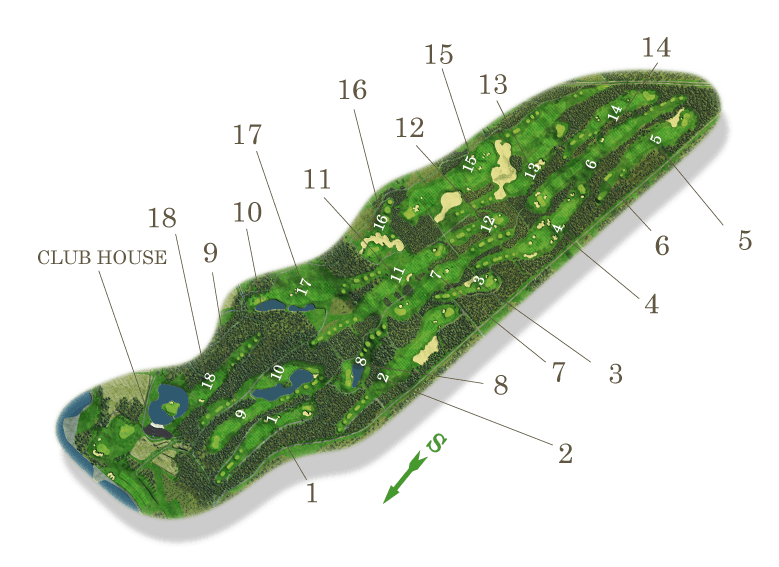 It is always good to know all details about golf courses before we talk about factors affecting the time taken to play an 18 hole round of golf. A standard round of golf involves playing all of 18 holes and a proper full-size golf course should have an 18 hole course. The entire course is made of various essential elements such as the tee off grounds, fairways, the putting greens, water hazards, bunkers, roughs and certain other areas within the enclosure of the golf course. The length of golf courses can vary from 5000 to 7000 yards and the number of pars or strokes taken to complete a game on a full course can be anything from 69 to 74. The most common full- par courses are par-72. If one is playing alone the time taken is the least but as the number of players increases as in a two ball, a three ball or a four-ball, the time taken to finish the game increases proportionately. If only two golfers are playing they may end up finishing the entire game in as less as two hours. The waiting time is taken for each player to finish his turn at each hole increases when there are more number of players. If one gets down to the basics of calculating how much time it takes to play a normal golf hole, it takes an average of 10 minutes for a professional group and amateurs may take about 15 minutes to finish. So taking these statistics into consideration we can calculate that an 18 holes course would take an average of three and a half to four hours to play. Walking across the golf course takes longer than riding across to the various holes. An average riding round of golf can take three and a half to four hours and a leisure walking round can take up to five hours or more. A busy golf course is no less difficult to cross than a busy road. The more the number of players on the course, the more is the waiting time at each hole. On an average, the waiting time taken on every tee off on a busy course could be around 5 minutes just to start play. Considering these additional 5 minutes and adding it to the average 10 to 15 minutes taken to play a normal hole it will take about four and a half to six long hours. This also slows down the pace of even professional golfers too. Windy conditions - especially can play havoc on the game as it has a direct effect on the ball’s flight. Hitting a ball into a tailwind will make it travel further than you would want it to go and hitting into stiff wind makes it slower. Cross winds also tend to push balls away from their projected paths and direct them to towards bunkers or water hazards thereby further delaying play. Rain - Golfers generally avoid playing in rainy conditions as it affects their grip. If the rain is too heavy players’ generally wait for it to stop and then continue after it slows down. Visibility, concentration and a feeling of discomfort are other factors that influence play during rains. Cold conditions - When the weather is too cold the golf ball doesn’t travel too far firstly cause of high humidity levels and second grips are not so good and there is not too much power in each shot due to low-temperature levels. Walking is also much slower in cold weather conditions. A regular 18 hole course may take an additional hour or so more to complete in adverse weather conditions. Be punctual and reach for tee off at the decided time. Being late spoils the moods of other players as nobody likes to wait. Get all your gear and equipment organized. Keep aside some time for warming up before tee off. Warming up allows the body to loosen up and allows you to play a smooth game. ​Do not take too much time before every shot of playing. A maximum of 45 seconds may be taken, otherwise, the duration of play will keep increasing accordingly. ​Trying out too many swings with different clubs also takes up a lot of time. This should also be avoided. 2 swings are before you hit a ball towards the hole. To save time, when your partners are still playing you can finishing reading your putt and hole out first. Do not spend more than 3 minutes in searching for lost balls. in case it takes more time than that it is advisable to declare it lost and take appropriate actions instead. Taking a golf cart and driving it to a location as close as possible to wherever your ball or your partner's ball has landed after playing shots, saves time too. Alternatively, you can drop your partner and then drive to where your ball. To further save on time carry more number of clubs than required, in case you decide to change your strategy. There a tendency among players to converse and discuss shots on the green. This should be avoided and the players should allow each other to play with full concentration. keep stories, jokes, and anecdotes you want to share with your golf buddies for later after the game is over there will be plenty of time for conversation and laughs. Scorecards should be filled while walking towards the next. Avoid filling scorecards on the green as you may be blocking someone’s game and causing inconvenience to other golfers. If you keenly observe your partners games as well, identifying the location where a ball has been shot errantly is easier and quicker. Players must help each other to look for their balls, but in case the search takes longer than required, golf etiquettes suggests that the player asks his partners to move on and he can continue to look for his ball. Noting the time after tee off and then subsequently after every 3or 4 holes help the entire group to pace themselves accordingly. It is always advisable to finish a game before time rather than later. 14. Refreshments on the green? If you need a drink and you see the refreshment cart approaching make sure to call it to where your ball is located. Finish playing your shot and then refresh yourself. Do not engage the cart for long. Others need refreshments too! Talking on cell phones, not only is against golf etiquettes it also is a lot of waste of time. It also distracts the players to a large extent takes a toll on the concentration of the players. Be attentive and stay smart. pay attention to all the instructions given and which need to be strictly followed. Don’t spend too much time teeing off. Be considerate about partners in your group and to other groups on the course. Try not to obstruct anyone’s game and waste valuable time. Share a golf cart with your partners to save time or brisk walking is better. Walking fast is good for health and it improves your pace too. Be helpful, polite and cordial with your partners. Avoid getting into arguments during play. 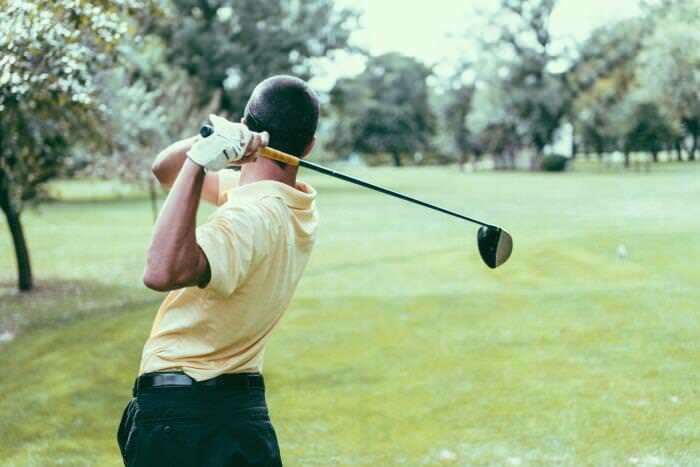 Whether you are an amateur golfer or a veteran one, everyone has wanted to know how long or what is the duration of play for playing a complete round of golf on an 18 holes course. Keeping all the above factors and tips in mind that an average round of golf on an 18 holes course should not take more than 4 hours in the best of conditions. Under adverse conditions, the time taken varies and one needs to keep a check on the conditions and the time factor to improve the pace and speed up play. In the worst of conditions, a full round should not take more than 6 hours. In case it takes more than that the players should take a call on the next course of action.